his return to racing and again entering the Winner's Circle. 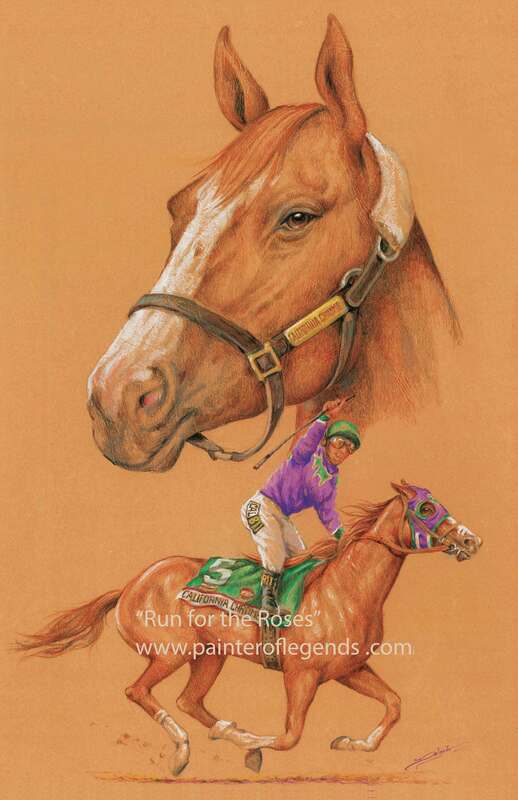 Here' an opportunity to own a collector's limited edition lithograph of this historical champion by Delgado. Each piece is signed and numbered by the artist and comes with a certificate of authenticity. Capturing the 2014 Kentucky Derby! Lithographs are signed and numbered by Delgado and comes with a certificate of authenticity. Incudes wooden molding, matting, glass and wire attached.